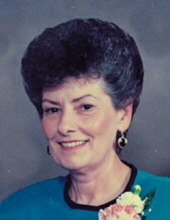 Sandra L. McLain, age 79, of Eaton, OH, passed away Thursday, January 31, 2019. She was born January 23, 1940 in Loveland, OH to the late Evelyn (Cramer) Johnson Rumele and George Johnson. Sandra was a Home Caregiver for many years throughout the Preble County area. In addition to her parents, she was also preceded in death by her husband Samuel D. McLain; and nephew Jeffrey Morthland. She is survived by her children Kim Johnson and Kent Campbell; grandchild Abbie (Mike) Steele; great grandchildren Kyleigh and MaKenna Steele; sister Sharron Johnson Bradstreet; and cousins Bob Cramer and Donna Jones. A graveside service will be held at 1:00 pm on Monday, February 4, 2019 at Fairview Cemetery in Gratis, OH. Girton Schmidt & Boucher Gard Funeral Home, Eaton, OH is assisting with arrangements. Memorial Contributions may be sent to Crossroads Hospice, 8069 Washington Village Drive, Dayton, OH 45458. Online condolences and other remembrances may be sent to the family by visiting www.gsbfuneralhome.com. To send flowers or a remembrance gift to the family of Sandra L. McLain, please visit our Tribute Store. "Email Address" would like to share the life celebration of Sandra L. McLain. Click on the "link" to go to share a favorite memory or leave a condolence message for the family.